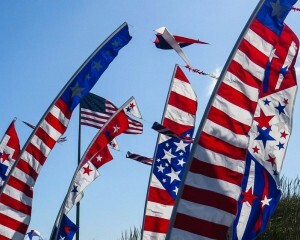 Fly your red, white and blues all day everywhere after 12:00 noon. Remember to have fun and the judges’ word is final! 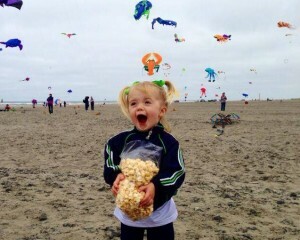 Please join the Washington Kitefliers Association and other WSIKF participants in this effort to make the sport of kiting more accessible to the youngest spectators. In 2001, Glenda Kleppin, the WSIKF Fairy Godmother, began adding events to the program to enhance participation of younger kitefliers during WSIKF. There are three different pins, awarded for participating in the various events. A 4th color is available only by purchasing a full set from Glenda. A fifth pin is available from the merchant sponsoring the pins for that year. Look at your pins to see where you can obtain more kite products after WSIKF has ended. This event was inspired by Mariam Schaffler who made and gave away kid’s kites at every festival she attended. 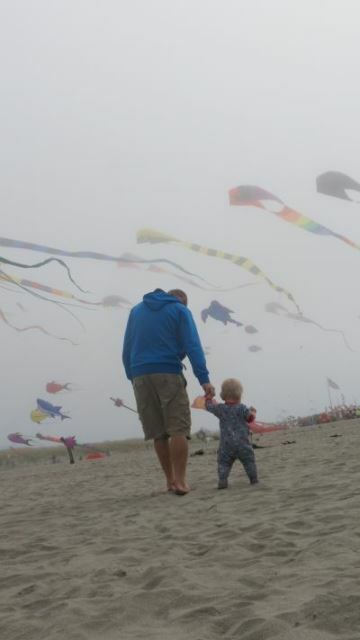 For many people, the first memory of flying a kite is associated with an outing with an older family member, often a grandparent. 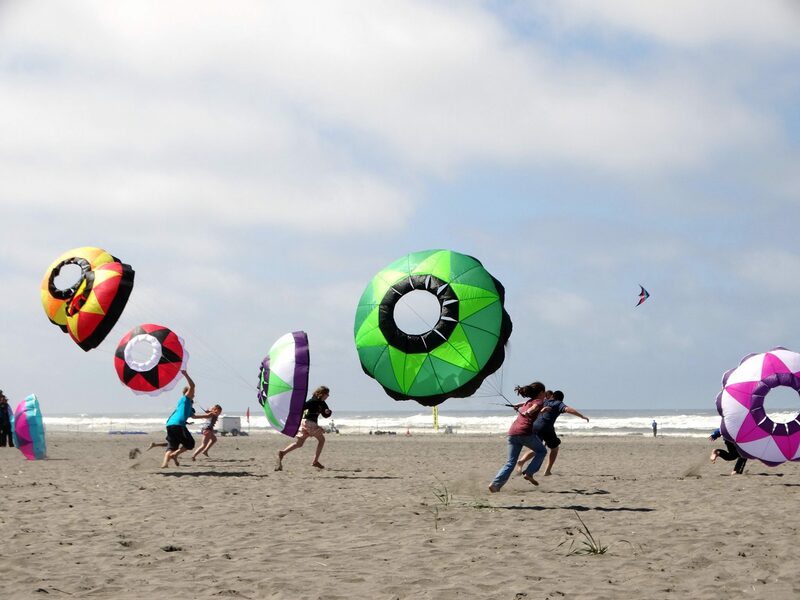 This event is intended to provide “foster grandparents” to temporary “grandchildren” who earn their new kite by learning to properly fly and care for it. taken over this event from Glenda and have enlisted kitemakers from across the country to join in making at least 200 kites per year. If you are interested in helping sew kites for this event or donating materials, please see them at the registration tables. Each of these kites is individually decorated. These high-quality kites fly well in most winds and should last many years if properly cared for. 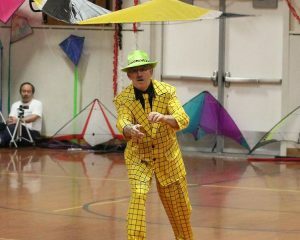 Materials and supplies are donated and purchased each year with the money raised by selling special kites from well-known kitemakers at the WKA banquet held on Wednesday night of WSIKF. 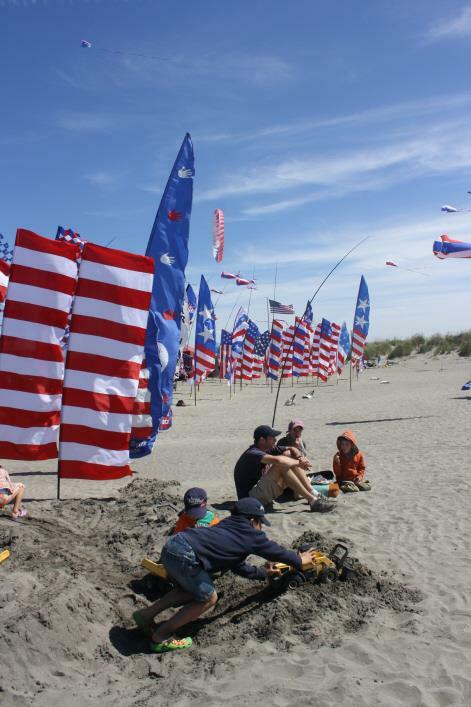 KIDS: The first 200 kids (ages 3-12) to register for this event are guaranteed a free kite, a special patriotic pin, and someone to give them personal kite lessons with their new kite. ADULTS: Please come and share your love of kites with the next generation of kitefliers by teaching them how to fly and care for their kites. You will receive a patriotic pin for your participation, plus the privilege of seeing the joy on the faces of the new flyers. EVERYBODY HAVE FUN: Show that you are having a great time and earn a special pink colored pin, honoring the Lady Kitefliers. These will be awarded by special judges during the Foster Grandparent event. Three pins will be awarded for each of the age groups. Judges will have wide latitude to guess ages, but it is easier for them if you use the sign-up sheets for this event. Children should go directly to the flying field. They do NOT need to register for this event. A large turnout may result in more age groups being added to this event. Sprint: At the signal, you will run between two points without your kite touching the ground. Reel Out: At the signal, kites are launched and reeled out until the next signal. Winners are the children with the most line out. Reel Out: At the signal, kites are launched and reeled out until the next signal. Winners are the children with the most line out. Running of the Bols: Bols are round, spinning creations that are normally used as line art. In this event small bols will be strapped to each child and they will race across the kite field. It is kind of like the end of a drag race without all of the noise! Join with your friends or work alone to set up a camp display that appeals specifically to kids. Current or classical books, movies, songs, and/or nursery rhymes may provide inspiration for your display. You will earn extra points if you have educational displays and/or actual kite making activities taking place at your camp. All participants will receive a special colored “Kids’ Day” pin. There are separate awards for camps that have been set up by kids under the age of 18, so be sure to let the folks at registration know if you are a “kid” with your own camp. 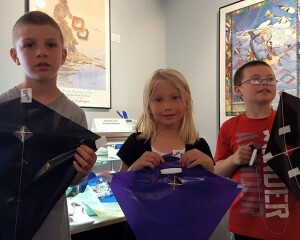 Kite making is a free activity but donations help support the World Kite Museum. The Washington Kitefliers Association hosts a lasagna dinner at the Long Beach Grange (5715 Sandridge Road). The doors open at 6pm with helpers needed by 3pm. Cost is $10 for non-members and $8 for members. Children a 5-10 are $5 and under 5 are free. Dinner includes lasagna, salad, garlic bread, desert and drink. The annual bag raffle will follow dinner. Help support our local clubs. This will be a world record attempt at mega team flying (100 quad kites) during WSIKF. They will practice during the week and make an attempt on Thursday and Friday (weather permitting). Competitors must be 50 years old or older – This competition will be judged on music selection which should include change of tempo or mood suited to kite flying; smoothness of movements to show control and flow of music; number and variety of moves, innovation and over-all enthusiasm. Performances are limited to 5 minutes.